Nutri-Juice allows you to consume an optimal amount of vegetables and fruits in an efficient manner.Some people may find eating that many vegetables and fruits difficult, but with Nutri-Juice it can be easily accomplished with a quick glass of juice. 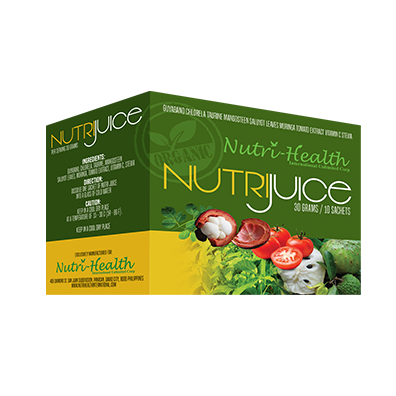 Nutri-Juice helps you absorb all the nutrients from the vegetables and fruits. 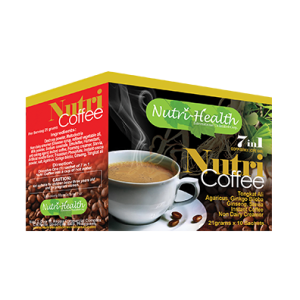 Nutri-Juice to “pre-digest”, it will receive most of the nutrition, rather than having it go down the toilet. You can add a wider variety of vegetables and fruits in your diet. With Nutri-Juice, you can juice a wide variety of vegetables and fruits that you may not normally enjoy eating whole. 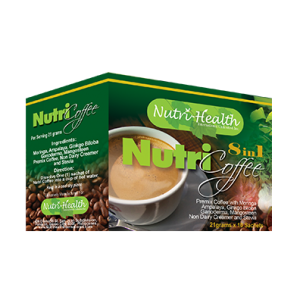 Moringa leaf is best known as an excellent source of nutrition and natural energy booster. This energy booster is not based on sugar, and so it is sustained. Moringa, is also soothing. It helps lower blood pressure and is a sleep aid. Its detoxifying effect may come from Moringa’s ability to purify water. Moringa acts as a coagulant attaching itself to harmful material and bacteria. Graviola has been known to relieve diarrhea, dysentery and even kill parasites and worms in your digestive tract. Mangosteen contains powerful antioxidants and immune system boosters called Xanthones, natural chemical compounds which were proven to possess a variety of potent medicinal properties. Saluyot (Corchorus) is a very nutritious, it is rich in calcium, iron, protein, vitamin A, C and E, thiamin, riboflavin, niacin, folate, and dietary fibers. Chlorella benefits the entire body by supporting healthy hormonal function, promoting cardiovascular health, helping to negate the effects of chemotherapy and radiation, lowering blood pressure and cholesterol, and aiding in the detoxification of our bodies. Tomato possess vital nutrients like Vitamin A, Vitamin K, Vitamins B1, B2, B3, B5 and B6, along with minerals like magnesium, iron and phosphorous. All these vitamins and minerals in turn have numerous known and scientifically proven beauty and health benefits. Stevia contain various vitamins and minerals, like vitamin C and A, rutin, zinc, magnesium and iron. The stevia leaf is also rich in antioxidants, which helps to safeguard the body from free-radical damage as a result of metabolic and environmental factors.